Credit: FORS Team, 8.2-meter VLT, ESO. Inset is another jet, trillions of kilometers long, showing its corkscrew nature. 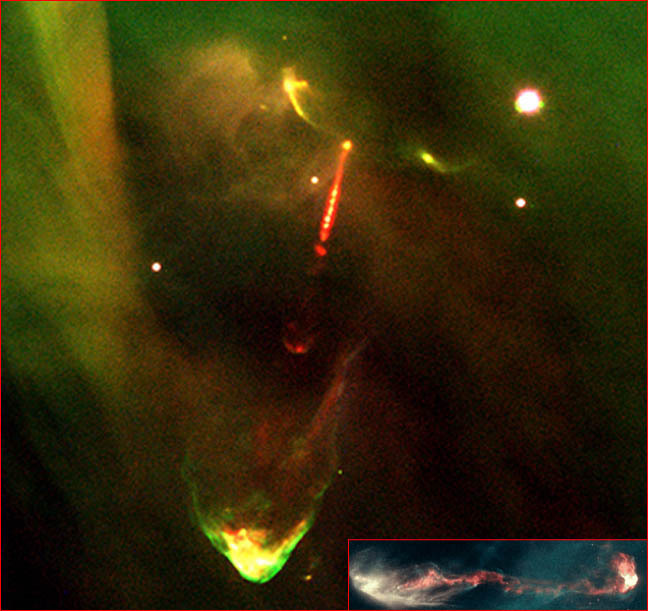 Protostar HH-34 lies about 1500 light-years away in the Orion Nebula star-forming region. energetic "bullets" of high-energy particles.